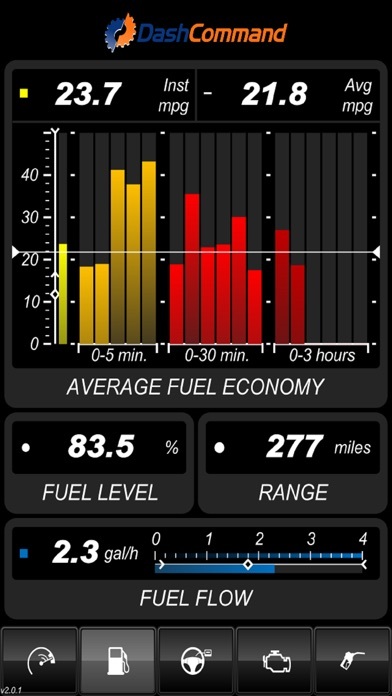 By Auto Meter Products, Inc. Developer: Auto Meter Products, Inc.
Where else can you have the capability of a 5k scanner for less then a “C” note? 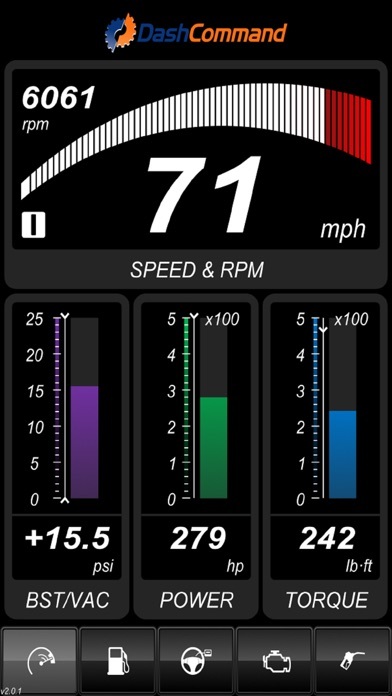 For trouble shooting and monitoring you can’t beat the simplicity of Dash Command. I had a trouble prone Dodge Magnum and the dash command live feed back allowed me to properly diagnose my vehicle in order for me to pass smog. I’m sure if I took it to a repair shop it would have cost me hundreds of dollars to have it repaired. All I can say is “THANK YOU DASH COMMAND” I will recommend you to everyone that will listen to me. My ‘96 Bronco would throw a lot of codes that really weren’t serious but bugged me when the check engine light would come on. Being able to reset them or learn what was really serious made enjoying my FSB that much better. This is a great app. It does a great job as a monitor and reads codes with ease. The lay out is simple to navigate and covers everything I need. Thanks for the update! When I first downloaded this app is would take 3-4 tries before it would connect to my reader. Now it wont connect at all. Cant seem to get an email to go thru to customer support. Not very happy with this. The latest update (which took forever, I was ready to delete it from my iPhone because I thought they had stopped development) just stretched the screen to fit the iPhone X screen. The circle is now an oval!!! Also, no support for electric cars. 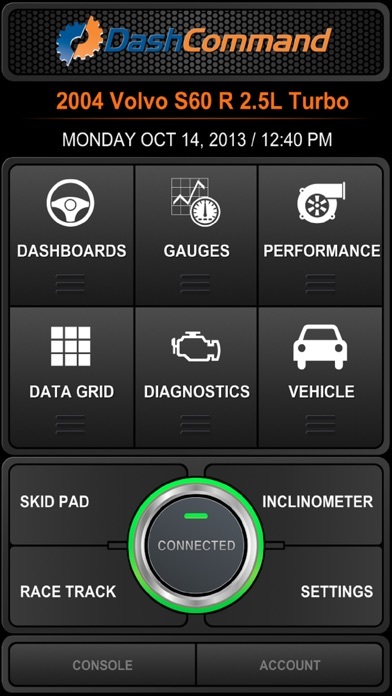 I bought the OBD2 and in the box it said to download this app, I did buy it for $10 and when I got the item, I tried it, my iPhone wasn’t getting its Bluetooth Signal, restarted my phone and tried almost everything and still not getting any Bluetooth signal off that device. What’s the solution? DOES NOT WORK FOR IPHONE!!! More by Auto Meter Products, Inc.